The next edition of T-Mobile Tuesdays is a little more than one day away, and T-Mo has revealed what it’s got in store for its customers. On November 21st, T-Mobile customers can get a $5 movie ticket from Atom and 75 percent off photo cards at Walgreens. There are a couple of year-long subscriptions coming for T-Mo customers, too, including one year of Shoprunner that includes free two-day shipping and free returns at hundreds of stores, such as Express, Staples, and Newegg. T-Mobile customers can also score a one-year digital subscription to Bon Appetit magazine on Tuesday. 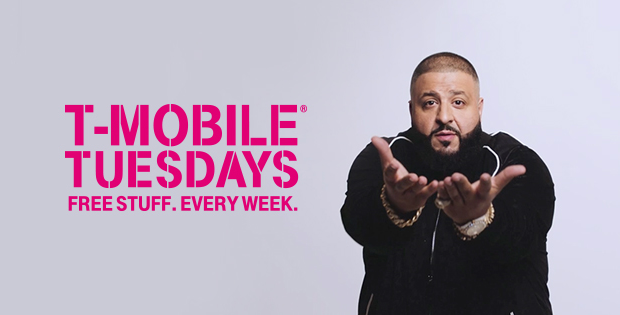 It’s unclear what else T-Mobile might have planned for this upcoming T-Mobile Tuesday. As of the publication of this post, there’s no mention of the Panda Express deal that we’ve seen on previous Tuesdays in November or any details on the prizes that’ll be up for grabs. Once that info becomes available, I’ll update this post. Anyways, i hope they bring back panda express. Got my free $6 bowl last week. There’s only 2 restaurants in my area of akron/canton so its kinda difficult to make it there. Good to know that the Panda Express perk actually worked for someone last week as the first week it didn’t work for anyone. The $2 was with fandango which is owned by Regal, NBC, and Time warner so they can offer a low price but then T-Mobile switched to atom. As to why it jumped to $5…idk maybe it will be any movie you choose instead of a specific movie like they usually do. P.S. Fandango is shady as hell so I would pay the $2 or $3 extra dollars to use someone other than them. I knew Regal had a stake in Fandango. I had no idea NBC and TW also.owed it. Thanks for that info. Fandango passed on the convenience fee also. It wasn’t part of the $2 fee. Some movies were free, like Warcraft. Then some were $2, but only good on that day, or for a specific movie. For $5 to see any movie I want… I’ll take that. Even the cheap matinees are $6 plus fees.. and that is standard viewing. Good point. I doubt Tuesday matinee prices are lower than five bucks for IMAX. Agree 100%. Not only can you see a hugely discounted IMAX or other premium (3D?) version of any movie for this price, but also we are entering a high demand long weekend where there are a few more days to really enjoy this offer. I look forward to seeing Coco or Justice League for $5 per ticket instead of the $20 charge for IMAX 3D with reserved recliner seats! Bonus fact – if you link your Regal Cinemas (or other brand) frequent viewer number to your Atom account, you get the FULL value of the ticket (2000 points) credited as points, not just the $5 you actually pay (500 points). I much prefer this to the Vudu free movie credits. My only complaint is that I wish you could enter more than one promo code per purchase. Bought four tickets to last week’s movie and had to go through the process four separate times. It would be so much easier if I could just make one lump purchase with multiple codes. I think Fandango allowed you to do that when they ran the promo. At least we can use more than one code with Atom. The Vudu credits were limited to one code per account. but can be redeemed until 02:59 ET on 11/27/2017.